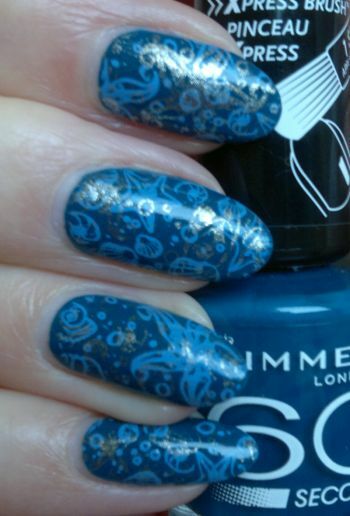 I painted my nails with Max Factor Glossfinity 140 Cobalt Blue. This is a really nice polish – it’s basically opaque in one coat! 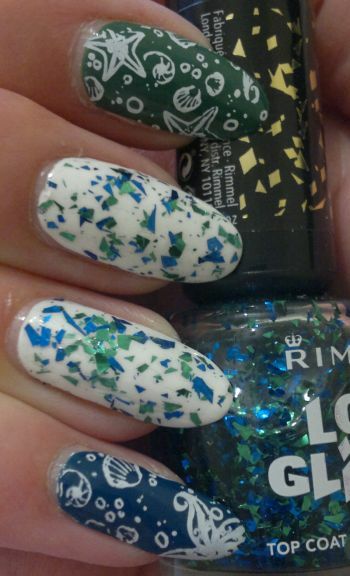 I selected images from two stamping plates – Sugar Bubbles SB 031 (pinky, ring finger) and Pueen 91 (middle and index fingers) from Pueen’s Buffet Leisure collection. 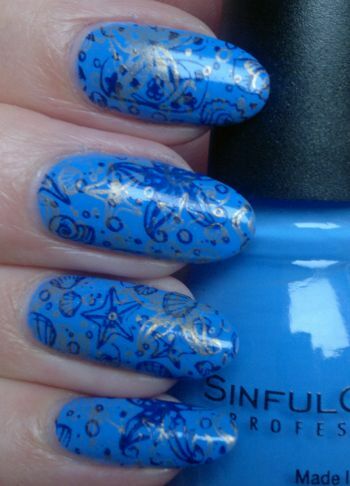 The light blue polish I used to stamp on the images is Orly Snowcone. 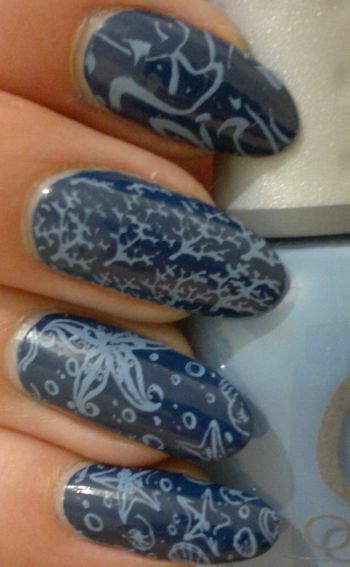 It’s not a real stamping polish but it stamps so well that I’ll use it for stamping only from now on.